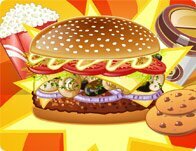 Description: Manage a top burger shop and cook the burgers to satisfy with the needs of customers. The game is simple and easy to operate. How fast can you cook? 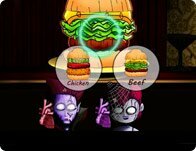 If you like burgers, you should really try this delicious bison burger! It's juicy and because there are so many bison out there on the cattle range, you can make the burger as huge as you want!